Undated photo of IRGCN fast attack boat. CAPITOL HILL — The Navy isn’t anticipating changes in how it deals with the naval branch of Iran’s Islamic Revolution Guards Corps (IRGC) as it operates in the Persian Gulf, Chief of Naval Operations Adm. John Richardson told USNI News on Wednesday. Richardson said that, while the Navy was always wary of the IRGC Navy while operating in the Gulf and the greater U.S. 5th Fleet area of responsibility, that the rules of engagement haven’t changed following the White House’s designation this week of the IRGC as a terrorist organization. The IRGC is tied directly to Iran’s sectarian leadership and is separate from the Iranian military. Since 2007 the IRGCN has been responsible for coastal defense and defense around the Strait of Hormuz. “The U.S. Navy has not adjusted its operations and will continue to operate wherever international law allows. We continue to work with our partners to ensure freedom of navigation and free flow of commerce in international waterways,” a U.S. 5th Fleet spokesperson said. The danger lies in how the IRGCN and the U.S. Navy will treat each other in the Persian Gulf after the change, Iran expert Afshon Ostovar, a professor in the Department of National Security Affairs at the Naval Postgraduate School and author of Vanguard of the Imam: Religion, Politics, and Iran’s Revolutionary Guards, told USNI News on Tuesday. His concern is how the U.S. designation and the subsequent Iranian declaration of the U.S. Central Command as a terrorist organization could lead to changes in how the two interact in the future. The U.S. 5th Fleet maintains a constant U.S. naval presence in the Persian Gulf centered around a group of patrol vessels, mine countermeasures ships and guided-missile destroyers and supplemented by the rotational visits from U.S. amphibious ready groups or carrier strike groups. As of Monday, the Kearsarge ARG was operating in the Gulf. 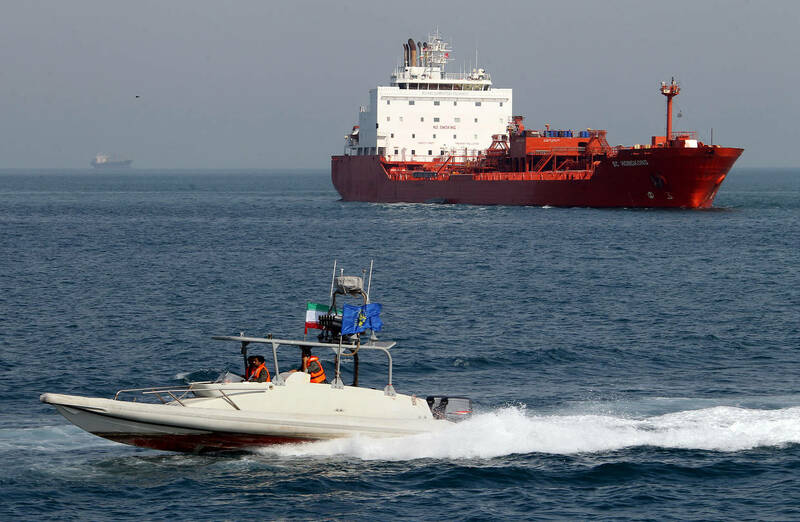 Over the last several years, small attack craft from the IRGCN have harassed U.S. ships in the region, and in 2016 the IRGCN took captive a crew of two Navy Riverine Command boats that were operating near Farsi Island. In 2015, the IRGCN seized M/V Maersk Tigris and held the ship for a number of days.